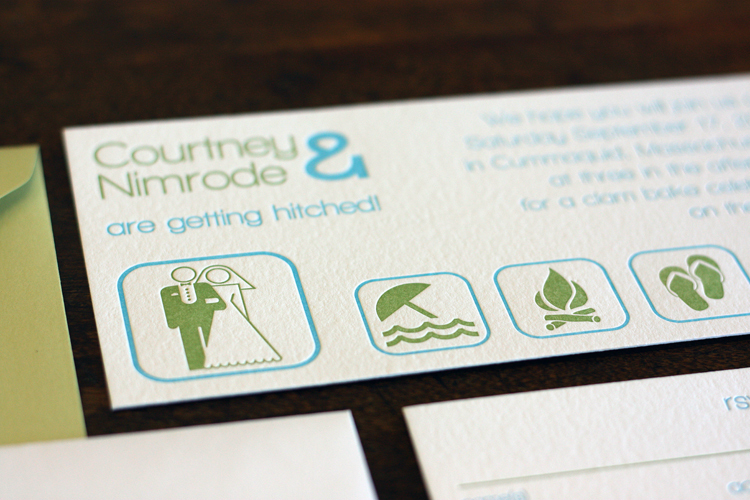 This suite was designed for a wonderful end of summer beach wedding. The theme was airy, fun and informal. It is printed on Crane's Lettra Pearl White 330gsm all cotton paper and is paired with French Paper envelopes.